festival, weather, snow reports,ski school & ski resort info. Lodge Nagano provides comfortable accommodation at great prices. Villa Nozawa is one of the most popular Ski Lodges in Nozawa Onsen. Nozawa Central Apartments is a hub with everything you need in Nozawa. Nozawa Cottage is a self-contained, right by the main gondola. Nozawa Onsen is located just one hour’s drive from Nagano City in the northern part of Nagano Prefecture – a charming hot spring village located at the foot of Kenashi-yama Mountain which is home to around 4,000 people. The village is said to date back to 8th century but has been renowned for it’s hot springs and traditional inns since the Edo period. More recently Nozawahas also gained popularity as a ski area that features a great variety of terrain and amazing snow that’s hard to match. 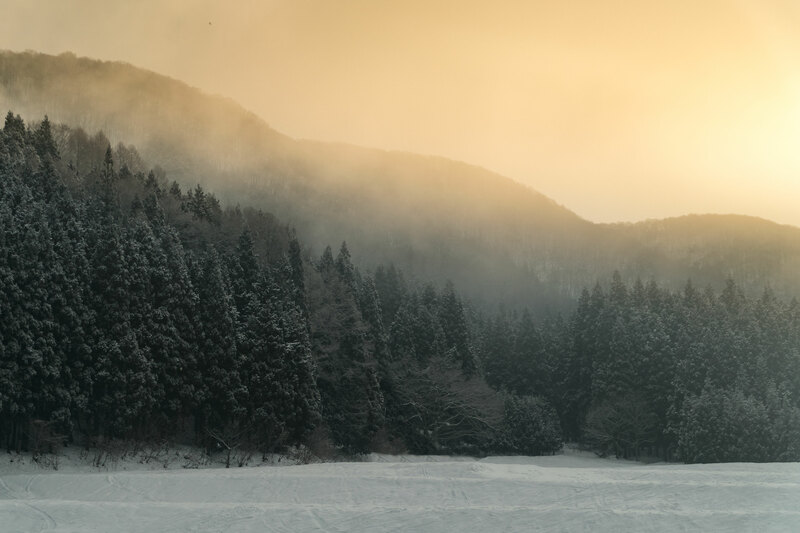 There is nothing like combining light Japanese powder snow with a rich cultural experience and a deep soaking onsen. Nozawa Onsen caters to this perfectly with a wide range of accommodation including ryokan & traditional inns, budget accommodation options, minshuku, pension, ski lodges, hotels, inns or self-contained apartment lodgings. Search Nozawa Onsen Hotels with our valued partners – get instant confirmation! 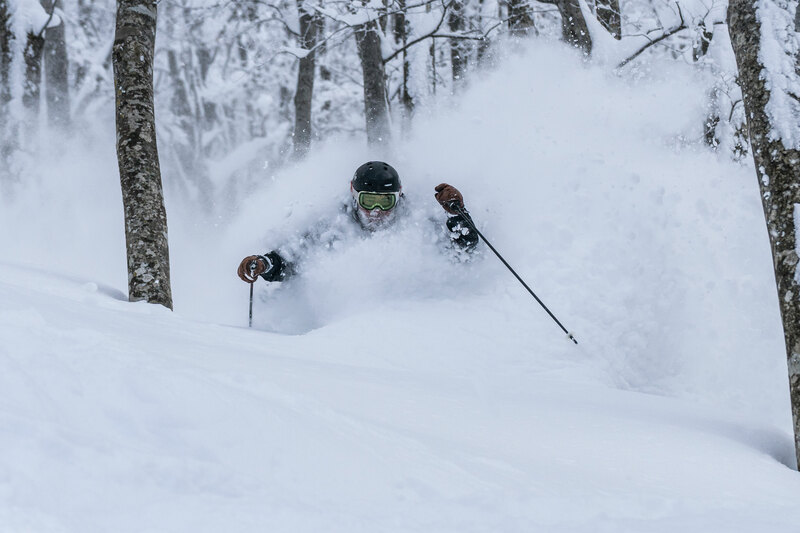 Nozawa offers more than just a ski trip though – experience not only the culture, food, famous hot springs and the renowned fire festival – but also the ambience and great après ski which sets Nozawa apart from other areas. The village features some amazing traditional architecture with temples, shrines, hot spring establishments, traditional ryokan and free foot baths along many of it’s streets. Even though the village is small there can be over 100 restaurants and bars open during ski season – from well known western-style bars to small hole in the wall shokudo. Any visitors fortunate enough to be in Nozawa Onsen early in the New Year (January 15th) should not miss the Dosoujiin Fire Festival, one of the most famous and exciting fire festivals in Japan. 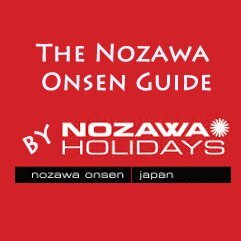 See some Nozawa videos here. As seen in the photo to the right, the village is located at the foot of the ski resort, which spans across three main areas. The ski resort is a large ski area that opened over seventy years ago. There is plenty of terrain to explore, offering over fifty kilometres of trails or pistes beginning at an elevation of 1,085 metres with 297 hectares of skiing surface. 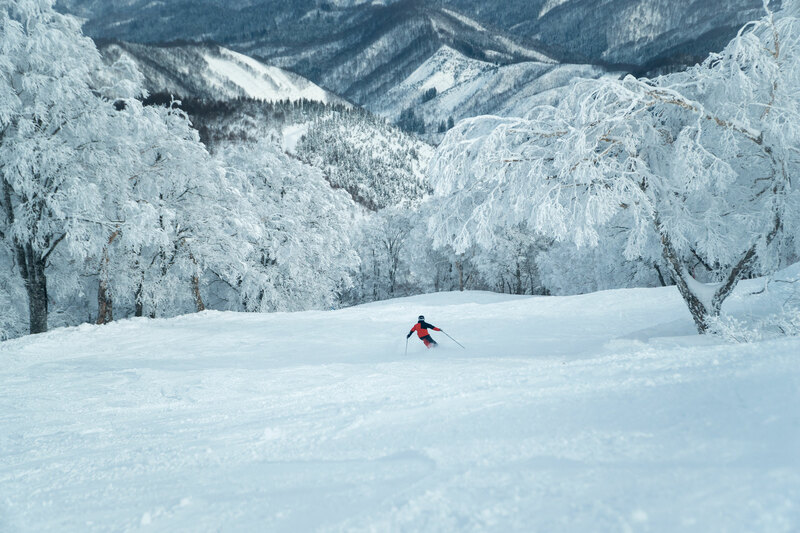 See more Nozawa Ski Resort information here. Throughout the village there are about thirty different type of hot springs and thirteen public hot spring baths. Whilst the baths are free of charge, there is a box outside each one for visitors to provide a donation for upkeep. You will also need to take your own towel and soap. For Japan onsen etiquette please see here. Among these baths, Oyu, located at the centre of the village, is regarded one of it’s most recognizable landmarks – a beautiful bath house with an atmosphere reminiscent of the Edo period. The other famous hot spring in Nozawa Village is Ogama which is the hottest of the springs in Nozawa with the water temperature reaching about 90 degrees Celsius. This type of hot spring is rare in Japan and thus has been designated as a natural monument of national importance. Ogama has become the “kitchen” of the village as it is used to boil eggs and vegetables. The combination of a traditional village feel and a great ski hill makes Nozawa a good choice for your ski trip to Japan. Start by checking out our wide range of Nozawa accommodation options. Discount Shinkansen Tours: A great deal for visitors to Japan – up to 52% off!